Since 2005, The Blues Foundation has held an annual competition to recognize excellence in independent blues recordings. 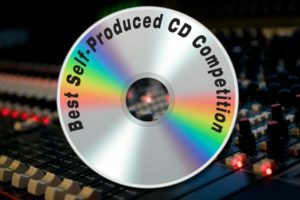 The Best Self-Produced CD competition is open to affiliated blues societies from around the world to submit one entry each, preferably selected by a regional competition. The Cascade Blues Association has taken part in this event since its inception, including having the overall winner chosen in 2011 with Joe McMurrian’s Get Inside This House. The CBA is now accepting submissions for this year’s Best Self-Produced CD competition. All bands and musicians are welcome to enter with the exception of artists who have been nominated for or received a Blues Music Award or recordings released on labels that have been nominated or received a Blues Music Award. No compilation discs are accepted. The CBA will only consider artists from Oregon, Washington, or Idaho and only CDs released after November 1, 2016. Entries will be judged by a committee and will be based on the same criteria that The Blues Foundation will later use in their own judging. These are: Blues Content, Musical Performance, Audio Quality and Production Value of the Recording, Professionalism, and Visual Appearance of Cover Art and Design, and Credits and Liner Note Information. After submissions from each affiliated blues society have been received, The Blues Foundation will conduct judging in three stages, with the first two rounds being conducted by a select group of radio/print media people. The finalists will be announced a week prior to the 34th annual International Blues Challenge and the winning recording will be named at the IBC finals in Memphis on January 20, 2018. All entries for the CBA must be received no later than the October 4 membership meeting at The Melody Ballroom. Entries can be mailed to: BSPCD c/o Cascade Blues Association, PO Box 6566, Portland, Oregon 97228 or can be delivered in person at the August, September, or October general membership meetings.